From upcoming concerts to highly anticipated album and single releases, to timeless music favorites and updates on both local and international musical talents, we bring you closer to your favorite bands and artists by getting up close and personal with the talents themselves. On this episode of Decoding The Lyrics, we sat down with Jazz Nicolas, Jugs Jugueta, Kelvin Yu and Chino Singson of Filipino rock band Itchyworms. Established in 1996 (yes, that's 23 years! ), they have become legends in the music scene with hits like "Gusto Ko Lamang Sa Buhay," "Akin Ka Na Lang," and so much more you've probably blasted a few times. 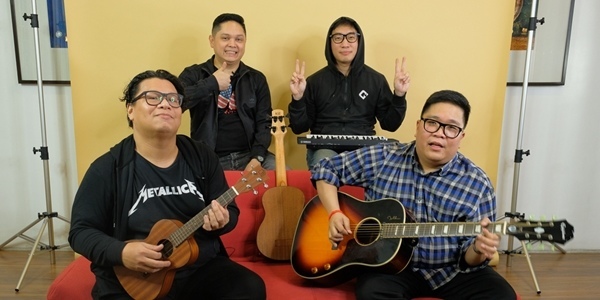 In the interview, The Itchyworms share how they became a band, their songwriting process, stories behind 'Di Na Muli' and 'Gusto Ko Lamang Sa Buhay,' and even shared how they secretly included Eraserheads in one of their songs when the band was on a break. Like and follow Itchyworms on Facebook, Instagram and Twitter for exclusive news and updates.